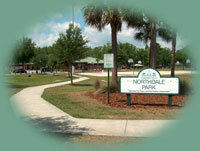 FAS will be attending the Northdale Family Fun Festival and Parade this Saturday, April 24th. It starts at 10:45 a.m. to 3:00 p.m. The Gaither High School marching band will open the event from Northdale BLVD to Northdale Park. Attendees will have a chance to taste all the different samples from the local restaurants. There will also be live entertainment from local groups. For the children, there are games, face painting and other family activities. Amongst the fun, there will also be other vendors promoting their business. Who knows, the businesses who will be out there will be the answer to some of your current problems or questions. FAS will have a booth filled with a couple different window samples. Ask what FAS can do for you! 10:45 a.m. to 3:00 p.m.
FREE FOOD! FREE ENTERTAINMENT! FREE GAMES! FREE PARKING!